What happened to the Villains? Stars should be dead, leaving the world lightless and pointless in the 21st Century, according to stardom theorist Richard Dyer. However, in Bollywood, we are experiencing a phenomenon of a different kind. The villains are dying. Gone are the days when cinema was larger than life, shocking the audience at every turn by the larger than life villain, be it a comic book Mogambo in Mr. India (1987), a rough edged Gabbar Sing in Sholay (1975) or a psychopath Gokul Pandit in Dushman (1998). The bad men in post-2000 Bollywood are vanishing out from the silver screen. The question is, why is this happening? If we think, the slow erasure of stardom and the death of the villain are connected. 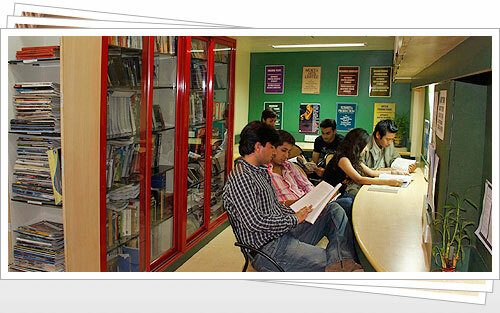 The audience is composed of common working people from all stratas of the society. Whatever the differences between two individuals may be, the common man is always driven by a typical quest regarding existence. He wants to know how anything in society is made, how making is organized and understood, and what their own relation to making is. The complex ways in which we make an explanation of the world around us involves the ways in which we separate ourselves into public and private persons, into producer and consumer. And we always make sense of the world in terms of contrasts and differences. We cannot realize the good unless we know the bad. So, good and bad define one another for us. Which one is accepted as morally or legally good and which one bad depends on the nature of our society, our position in the power hierarchy and our education. Dividing all choices into black and white is known as binary opposition to social theorists and practitioners. This works fine when the society is going through a troubled or a developing phase, when the logic of we and they is functional, when the enemy is defined and is at sight. For Hollywood, the enemy was the erstwhile USSR, during the cold war. In India, the enemy was rarely named. But he was there, both inside the border and outside. In the days of nation building, after Independence, the enemies were shown in general categories, like the black marketer, the gambler, the conning middleman or the usurper in the city and the land-owning zamindar in the village. The gullible hero of the ‘50s Bollywood, Raj (as he was known in many of his films), in Raj Kapoor’s movies, who is from the village and comes to the city, is shocked at its corruption. City bred marginal heroes, played by Dev Anand, knows corruption like the back of his hand (eg, Kala Bazaar, 1960) and even the tragic hero played by Dilip Kumar; all of them were defined sharply in contrast with dark opposing characters. By being a counter-force to the enemy of the common man, the hero was recognized by the mass of viewers who thronged cinema halls after a murky day of work and survival. Villains were needed to implant dreams in the spectator. The dreams were the goals, the hero was the active virtual agent through which the spectator would reach the goals and the villain was the necessary barrier, who blocked the hero from reaching the goal. The pattern was epic in structure, as the ultimate goal was always connected to nation building in the post-independence era. The Indian mind accepted it and related it to real life sentiments. The situation changed in late ‘60s and early ‘70s. The neighbouring enemy was specifically named after wars with China and Pakistan. Also, the inside enemy was spotted and shown more precisely before and during emergency period. However, the villain became more of a personal, than a social villain, during emergency and since. 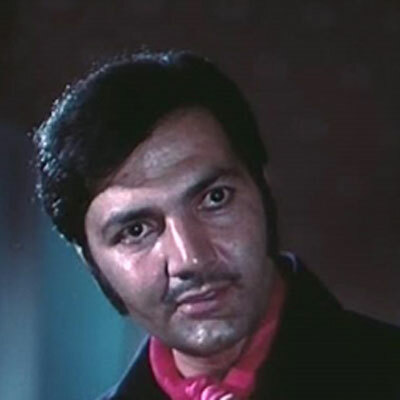 During the Angry Young Man’s rule in Bollywood, be it Amitabh Bachchan, Vinod Khanna or another less successful actor, the villains were much more flesh and blood and less metaphoric. Those films were driven by a spirit of family vengeance. With rising figures in unemployment, uncertainty at work and a nation caught up in unstable politics (Congress was successfully challenged and thrown out of power for the first time after independence in 1977), more personal stories were required for the dreams on the silver screen. Even after Congress came back in 1980, the scenario remained more or less the same, until it changed for a return of the lovers in the later half of the ‘80s. The villain was still a personal one. 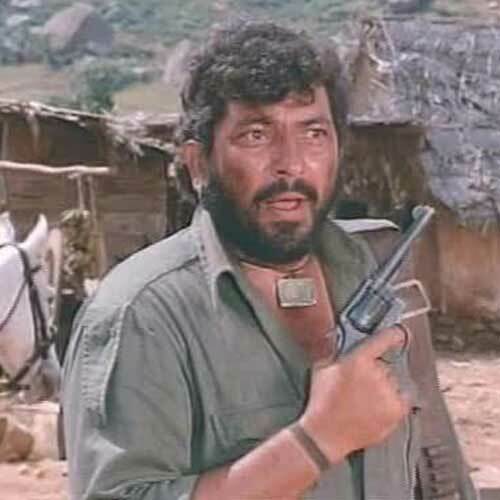 But he was not only a professional bad man like those played by Ajit, Prem Chopra or Amjad Khan, but someone like Gulshan Grover or Shakti Kapoor, who is also interested in the heroine. Facing these villians was less vengeance and more of a challenge. A good example of such a villain is Shekhar Malhotra (Deepak Tijori) in Jo Jeeta Wohi Sikandar (1992). However, the old traits did not vanish. The cinema villain matured. 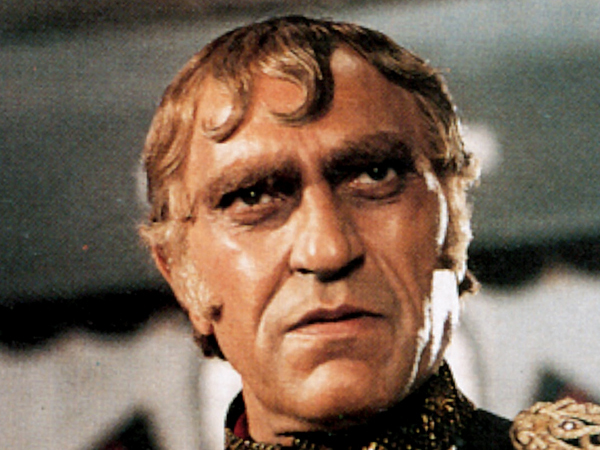 Two new types of villains appeared in Hindi Cinema at the turn of the decade. 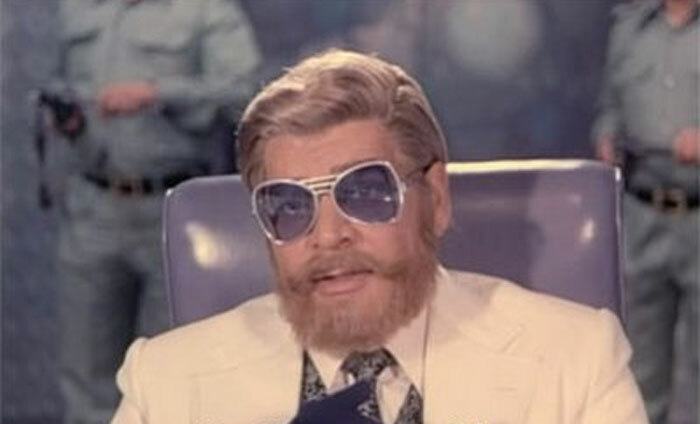 The first was the cold blooded villain played by Nana Patekar as Anna Seth (Parinda, 1989); the other was the two-faced hero of Baazigar (1993), Shahrukh Khan. While the first type got worked, reworked and mixed with the second one in films like Krantiveer (1994) or Satya (1998), to become a stereotype in the end, and to gradually evaporate, the second one slowly became the norm. Today’s films are less of an epic and closer to reality. Today’s youth knows how a society runs. Moral values have changed with a feel good economy, after India opened a large section of its market to the world. The concept of black and white villains and heroes are dated. In today’s list of coterie movies, the ambivalence is more prominent. The Badmaash Company (2010) hero Karan (Shahid Kapoor) or Delhi Belly’s (2011) hero Tashi (Imran Khan) could not be considered good even by the standard of ‘90s in Bollywood. They are considered normal. Cheat the cheaters is their motto. When the whole world has become a competition, and the best cheater gets the crown, how can a good hero be pitted against a dark villain? Such villains do not exist anymore, as the heroes have changed themselves. Today’s society does not need such villains because it has dispensed the idea of such heroes. Today’s society lacks a hero, a model figure in the classical sense. Hence, it is only normal that it should lack the contrasting figure of the villain too. Gone are the days when the bloodthirsty Gulshan Grovers romped the screen! One does not need to possess a lot of money in order to become a Producer. A producer arranges for the money just as s/he arranges for all the other resources that go into a film. With the growth of corporate film production, opportunities abound for skilled Producers to work as representatives and executives of the larger corporation. Starting as production assistants, aspiring producers make their way up the corporate hierarchy as line producers, project managers, production heads and finally as producer. Students from Digital Academy may be able to directly join as line producers or executive producers simply because of the theoretical and practical knowledge they have gained during the course. 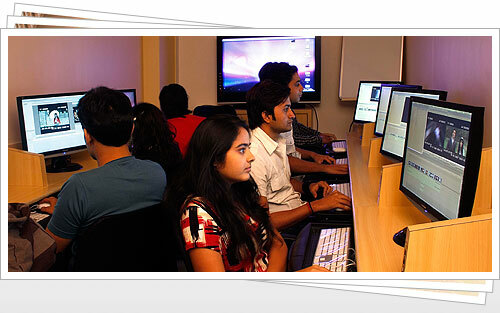 An added benefit of this course is that it is like a semi-management course and enables students to branch out in areas like event management, advertisment production or any other area of management. 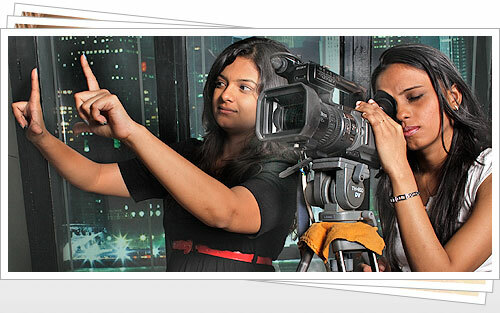 In short having obtained an insiders view of this course, a student is ready to take on the mantle of a Producer, Executive Producer or Line Producer on any TV channel or production house. 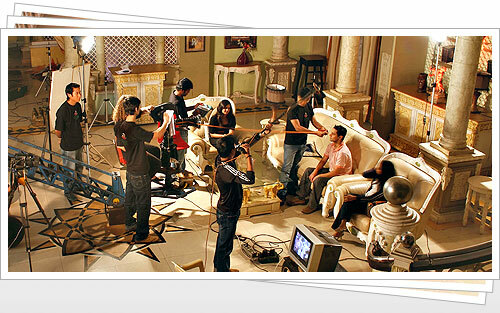 India is known to be the biggest producer of motion pictures in the world. The biggest USP of Indian Films that sets it apart from World Cinema is the inclusion of song and dance sequences in them. Despite a weak content, several Films have done stupendous business, solely on the strength of its music. Music sales are a major avenue of income for Film Producers and the sale of Audio rights is a major revenue earner. The Audio companies also actively participate in the promotional and marketing strategies of these films. 1. 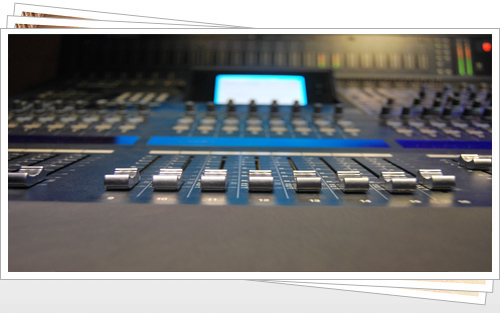 Sound Engineer for live shoot during Filming of a Movie or a Television programme. 2. Song and Music Recording. 3. Mixing Engineer for Dolby DTS Surround sound. 4. Handling Sound System in live outdoor events. 5. Sound Designing for Film effects. 6. Recordist at a Radio Station, especially FM Stations or to produce software for broadcasting, eg. 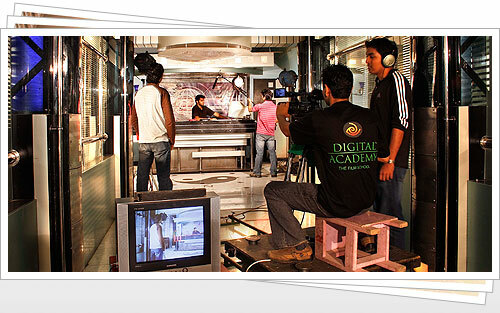 Ad-commercials, Corporate Documentary films etc. 7. Maintenance or Service Engineer for equipment. 8. 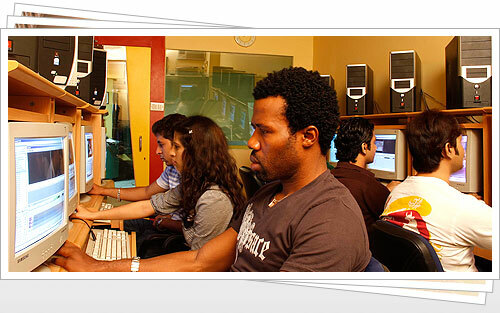 Designing and establishing sound Recording Studios with proper aesthetics, acoustics and ambience. 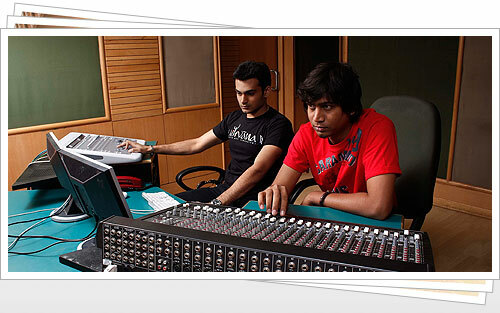 Sound Engineering is not a profession that can be taught in a conventional academic way. It is a collaborative art form and to do it well requires a combination of technical skill and theoretical knowledge, as well as practical and aesthetic abilities.